(Natural News) It turns out, eggs aren’t just good for you, it can also be good for babies too, according to researchers from the Brown School at Washington University in St. Louis. In the study, they discovered that introducing eggs to newborn children starting at six months resulted in higher blood centralizations of choline and docosahexaenoic acid (DHA), as well as other biomarkers in choline pathways. The study, Eggs Early in Complementary Feeding Increase Choline Pathway Biomarkers and DHA: A Randomized Controlled Trial in Ecuador, was published in the American Journal of Clinical Nutrition. Choline is a known essential nutrient. It functions in a variety of roles, ranging from cell structure to learning, and has been shown to help fend off liver disease, atherosclerosis, and potential neurological disorders. However, most people do not even meet the required intake of choline, despite its importance in the human body. Egg yolks are known to be the primary source of choline. DHA, on the other hand, is an omega-3 fatty acid that has been correlated with healthy aging and infant development, particularly with immune and neuronal functions. A deficiency in DHA later in life can increase the risk of coronary disease and cognitive degeneration. Aside from eggs, other sources of DHA are fish and fish oil products. 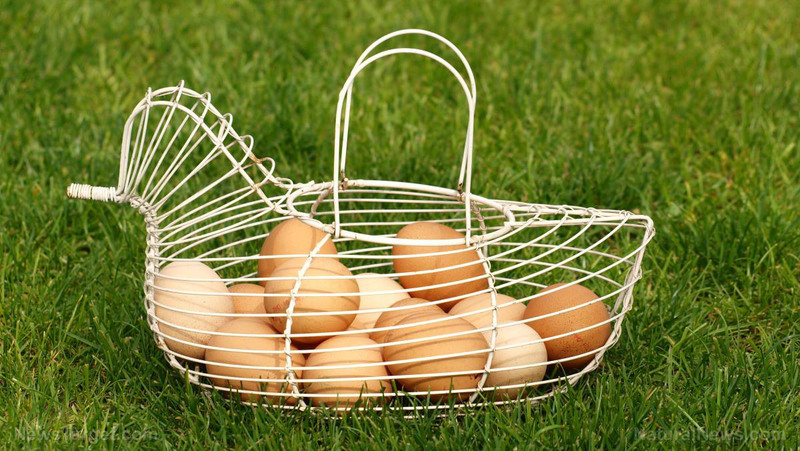 According to the study, eggs provide nutrients in a “food matrix” which enhances its absorption and digestion. In 2015, a randomized, controlled trial was made by the team in Ecuador in 2015. Children aged six to nine months were randomly assigned to be fed with one egg every day for half a year. A control group was also selected and were not provided with eggs. Earlier papers from the study demonstrated that early introduction of eggs in the diet enhanced linear growth and reduced instances of stunted growth among babies who were given eggs starting at six months. Aside from choline, eggs are one of the most nutritious foods available. A single hard-boiled egg contains vitamins A, B2, B5, and B12, as well as folate, phosphorus, and selenium. These are also known to raise High-Density Lipoprotein (HDL), the “good” cholesterol that decreases the risk of heart disease, stroke, and other health problems. Studies have also shown that adequate consumption of eggs can prevent the likelihood of cataracts and macular degeneration, thanks to the antioxidants lutein and zeaxanthin found in egg yolks. Learn more about the nutritional benefits of eggs and other superfoods by visiting SuperFoods.news today.